Trudi, an emigrant from Austria, came to Ogden, Utah, where she fell in love with the area and its people. She is especially grateful for the freedom this country affords her. After graduating from Ogden High School, she worked for a finance company, engineers, and a real estate firm. Trudi decided real estate would be a perfect fit. She has been helping people with their residential, commercial, and new construction needs for over 30 years. 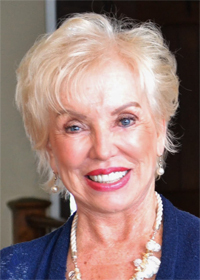 Her accomplishments include: Member of the Year for the local and state Women’s Council of Realtors, Realtor of the Year, President’s Award, and she is a lifetime member of the Sales Master Club. Her designations include GRI and CRS. Helping her clients have a smooth and hassle-free experience is Trudi’s professional goal. Spending time with her family is the highlight of her life.